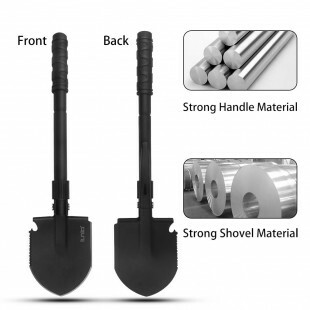 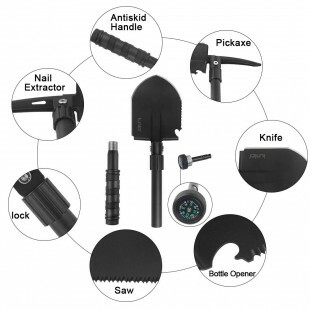 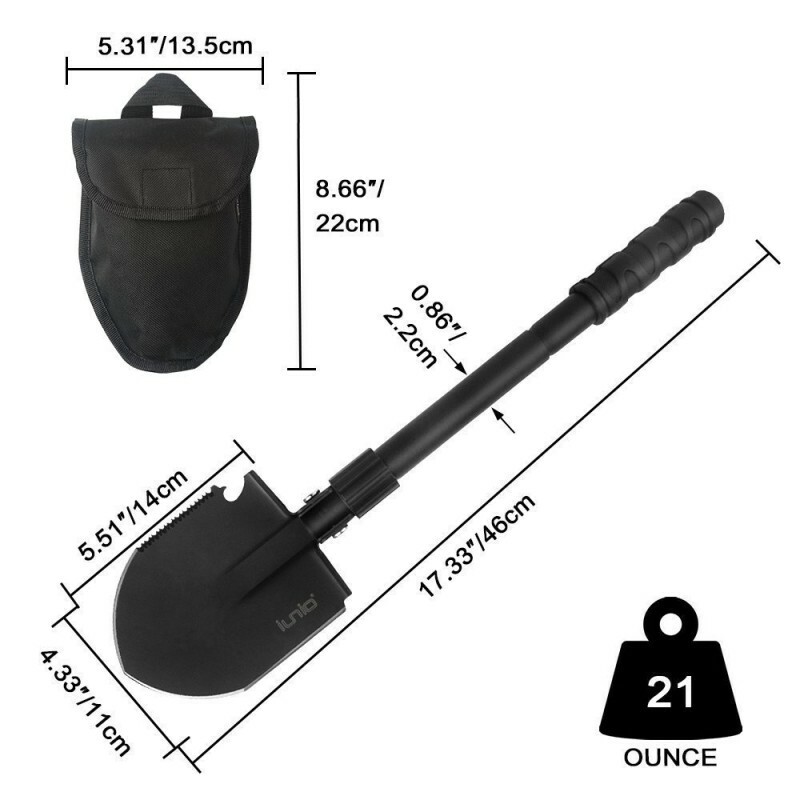 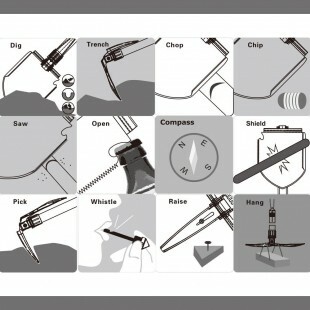 Military Portable Folding Shovel(17 inch Length) - It is designed and produced according to self-driving experiences of many experienced outdoor sports lovers and any kind of outdoor enthusiasts: Off-roading, 4-Wheeling, SUVing, Backpacking, Expeditionists, Tent Camping, Pop-up Camping, RV Camping, Cadets, Scouts, Military Personnel, Hikers, Hunters, Fisherman, Gardeners, Gold Digger, Motorcyclists. 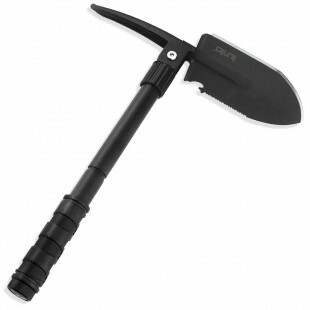 This folding shovel is assembled practicability, functionality and security in it. 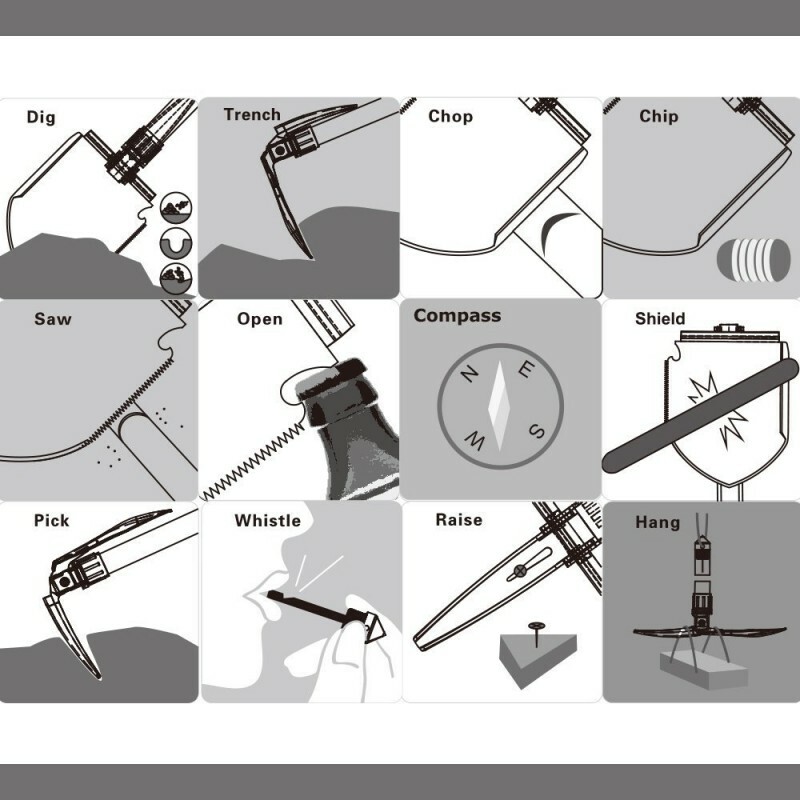 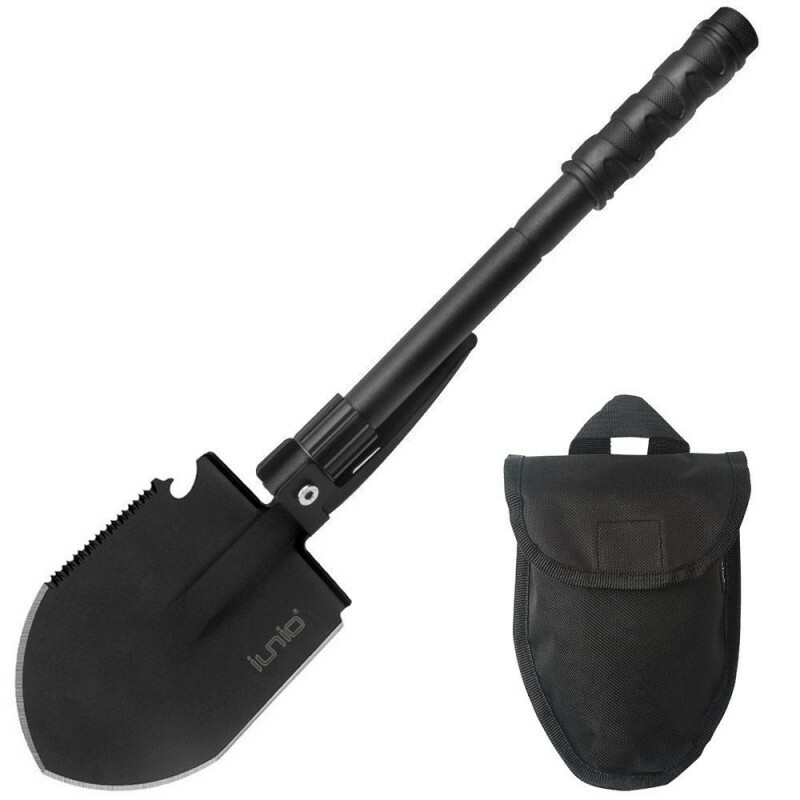 Versatile - Features a regular shovel doesn't even have, all in this convenient folding shovel: Shovel Board, Saw, Bottle Opener, Nail Extractor, Hoe, Emergency Whistle, Compass.  Portable & Compact - This shovel folds up and fits in a convenient carrying pouch with a belt loop to carry at your side. 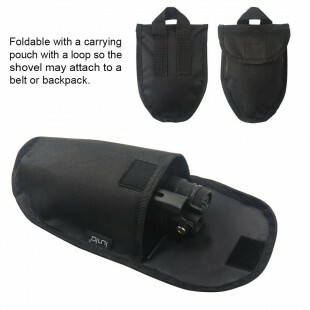 It's easy for you to hang it on your belt to carry after shovel folds up to small part.